Mary Foley, Registered Nurse at Loyola University Medical Center, has been recognized as a “Leader in Nursing” among “America’s Best Nurses” for 2017. She will be sharing her knowledge and expertise in Nursing – Oncology and Hematology. With more than thirty-five years of experience in the nursing industry, Mary became involved in the profession after working in the registry department on an oncology floor, which sparked her interest in Oncology and Hematology. 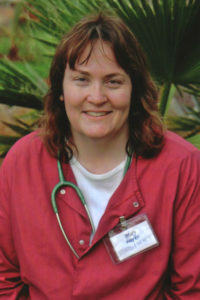 In 1981, Mary received her Bachelor of Science in Nursing from DePaul University. Subsequently, Mary received her Master of Divinity from the Catholic Theological Union in 2003. Loyola University Medical Center is a nationally ranked academic medical center rooted in the Jesuit Catholic tradition. Focused on delivering compassionate and uncompromising care, Loyola University Medical Center offers a plethora of services with the best healthcare professionals to treat the human spirit. For thirteen years, Mary’s day-to-day duties at Loyola University Medical Center have consisted of monitoring patient care, coordinating services and primary bed side care. Mary maintains affiliations with the Oncology Nurses Society – Chicago Chapter and ACTheals, and is a member of Sigma Theta Tau. Looking ahead, she intends to continue taking oncology courses and to improve in her role as a Registered Nurse. For more than 40 years, Loyola University Medical Center has been a leader in academic medicine and healthcare services in the Jesuit Catholic tradition. The integrated clinical program at Loyola University Medical Center is focused on delivering compassionate and uncompromising care. In addition, the faculty of Loyola University Chicago Stritch School of Medicine teaches the next generation of physicians through meaningful clinical research which results in the improvement the lives of others. Susan B. Stillwell, DNP, RN, CNE, ANEF, FAAN Linda Strong, Ed.D., R.N.